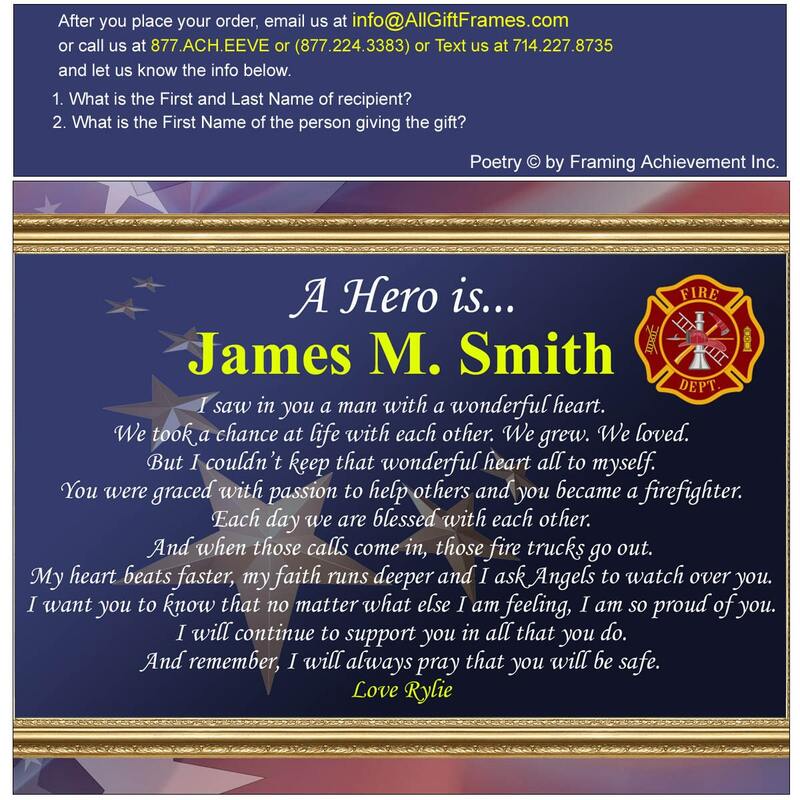 Select a beautiful personalized firefighter anniversary or romantic loving gift to celebrate a lifetime of love. 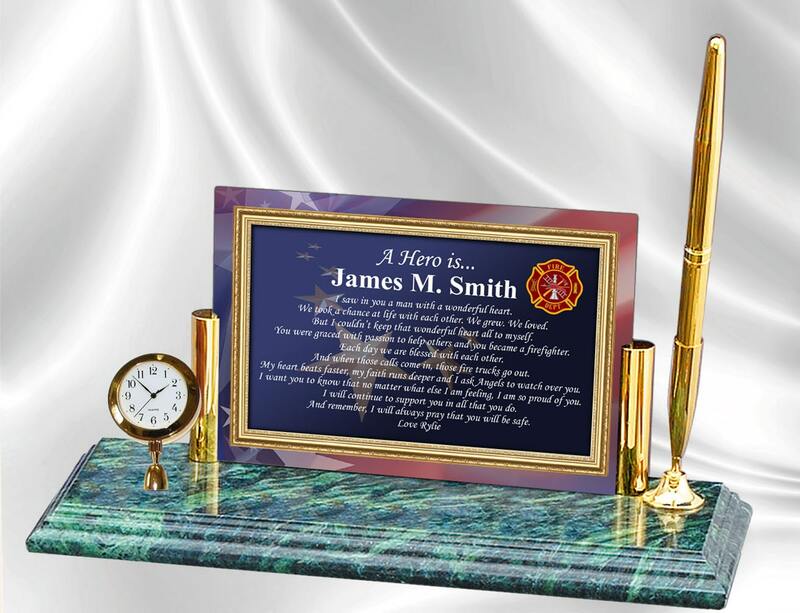 This genuine marble base with mini gold clock features a personalized heartfelt fire fighter hero husband or boyfriend poetry panel with brass pen and metal gold brass accents. A handsome loving romantic Valentine's Day, Anniversary or any special occasion gift clock decor for any setting. Whether an anniversary or birthday, this personalized poetry clock gives a feeling of blissfulness and elegance. The romantic caring poem imprinted on the panel of the marble base compliments the traditions use of timeless designs. This poetry timepiece beautifully highlights the meaningful poem message that have sentimental value to the recipient. By fusing a firefighter poem into a table desk clock with a touch of personalization, the end result is a really nice distinctive and unique fireman gift from wife or girlfriend.